When Steve Bannon left his position as White House chief strategist less than a week after the Charlottesville “Unite the Right” rally in August 2017, he was already a notorious figure in Trump’s inner circle, and for bringing a far-right ideology into the highest echelons of American politics. Unconstrained by an official post — though some say he still has a direct line to the White House — he became free to peddle influence as a perceived kingmaker, turning his controversial brand of nationalism into a global movement. 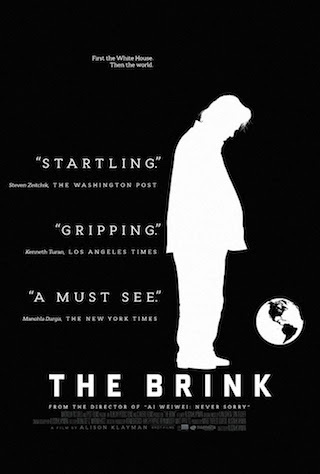 The Brink follows Bannon through the 2018 mid-term elections in the United States, shedding light on his efforts to mobilize and unify far-right parties in order to win seats in the May 2019 European Parliamentary elections. To maintain his power and influence, the former Goldman Sachs banker and media investor reinvents himself — as he has many times before — this time as the self-appointed leader of a global populist movement.